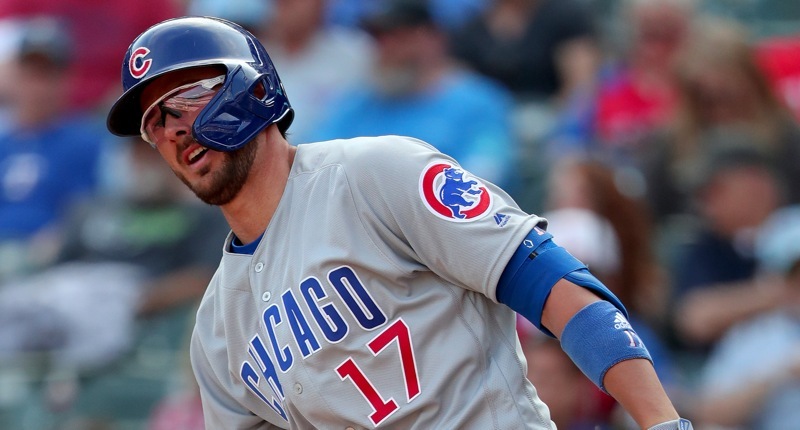 Dispensing early with what is likely the most important aspect of Kris Bryant’s production troubles so far this year: it isn’t the shoulder that largely wrecked his 2018 campaign. 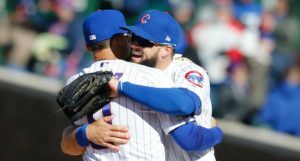 Even without any information from the team, it felt like this was something different. 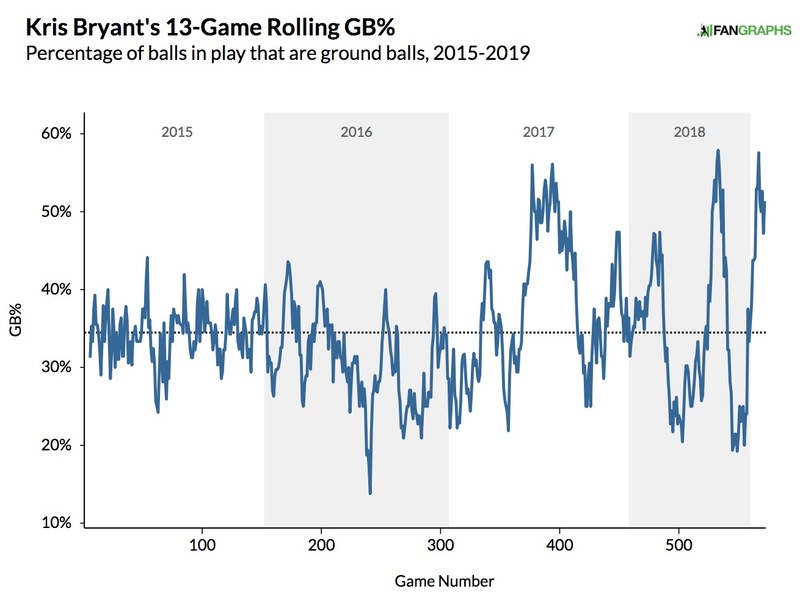 When Bryant was struggling last year, it was just a total lack of power generation, even as much of the rest of his game seemed similar to what it usually was. Turned out, his lead shoulder was ailing, and it wreaked havoc on his natural high-finish swing. This year, the problem isn’t really just about a lack of power – instead, it looks more like a timing and swing issue. Bryant is just off, missing pitches he usually crushes, fouling too many back, popping way too many up, and otherwise whiffing on breaking pitches. Could some of that be the residue of a year of swing problems last year? Him shaking all that off and getting back to what works? Sure, maybe. 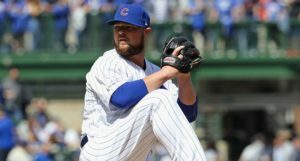 But it just didn’t feel like an injury issue as we’ve watched his season play out so far, and sure enough, the Cubs are saying as much. Taking that at face value for the moment, that’s … good news, right? You don’t want to see anyone struggle for any reason, but when it’s a small sample, and it’s a guy who has had peaks and valleys before, you’d much rather hear that it’s perhaps a natural valley rather than a multi-year lingering physical issue. 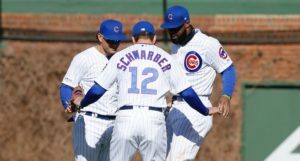 Coming into his off-day this weekend, Bryant was hitting just .231/.333/.365 (89 wRC+) through his first 60 plate appearances on the year. His power is definitely down (.135 ISO is extremely low), but it doesn’t seem to be the same kind of power drop-off last year. Instead, his HUGE groundball rate this year (51.4%), his super low soft contact rate (8.1%), and especially his super low contact rate in the zone (down nearly eight(!) percentage points from last year) all paint the picture of a guy who is simply off in his swing/timing. 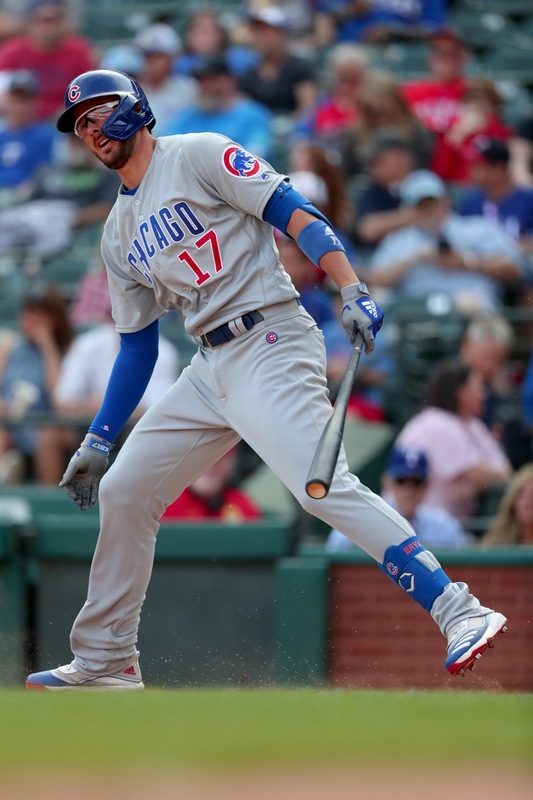 Sharma’s work seems to square with the idea that Bryant is lunging a bit at the plate, not staying as upright as he needs to in order to generate elevated hard contact. That’s not a health thing, that’s a combination of swing mechanics, timing, and also pitch-recognition. 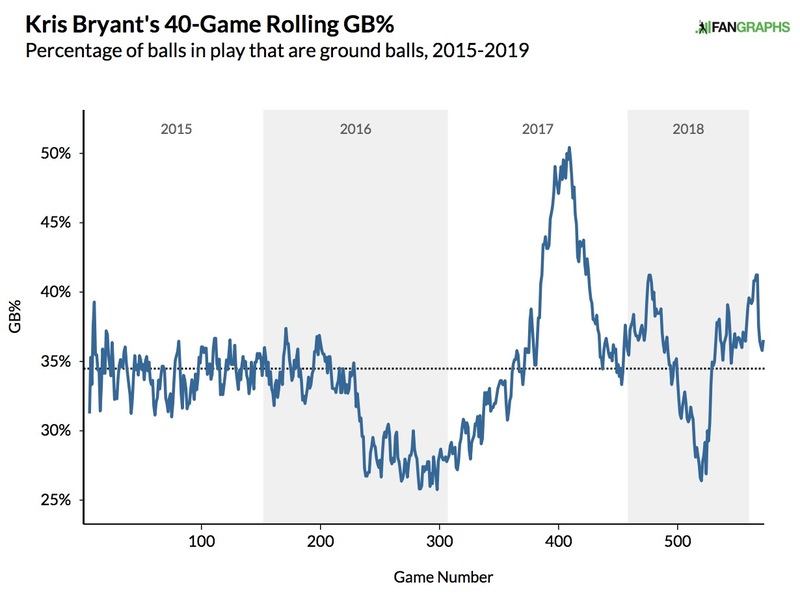 As you can see, Bryant never got this groundball-heavy in 2015 or 2016, but did when they shoulder was hurting last year, and did for a very long stretch in the middle of 2017 – a season he finished with a .295/.409/.537 line that more or less matched his 2016 MVP campaign. 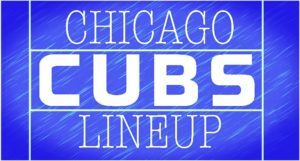 Previous PostPrevious post:Chicago Cubs Lineup: Kris Bryant Heads to the Outfield, But Why?